My North Carolina garden is somewhat haphazard, a rather disorganized assembly of pretty flowers planted for their shapes, fragrance and colors. A bonus has turned out to be their ability to attract butterflies and birds. Despite the disarray, I love to look at each flower close up to appreciate the textures and vivid contrasts it brings to my garden. One reason for the haphazard mixture of plants is that almost every plant was free! Unlike those who haunt garden catalogs and nurseries, I am more likely to beg, borrow or steal (well, not really...) plants, seeds and cuttings from friends and neighbors when they are thinning or dividing their plants. Most of the photographs in this hub are of plants that I've grown from seedlings, cuttings or freebies given to me by friends. When my sister-in-law thinned out some of her iris, she gave me a box of rhizomes to take home. Somehow, the purple and yellow iris roots got mixed, so we didn't know until they bloomed what color the flowers would be. Three years after planting the roots, there are beautiful clusters of purple and yellow iris blooming along the garden walls. Although iris blooms are short-lived, the profusion of plants is enough to provide a steady stream of cut flowers for my table. Wisteria - A Blooming Surprise! 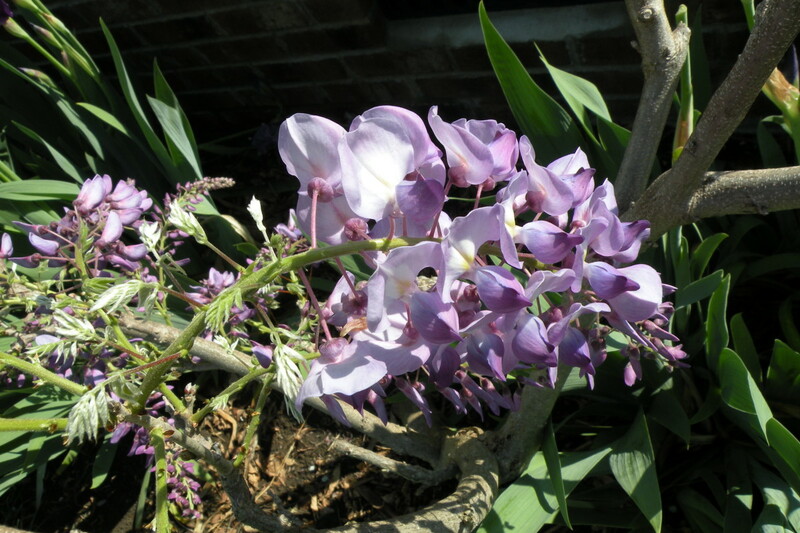 My husband fishes in a public spot along Currituck Sound and noticed wisteria rambling along the ground through the brush and grasses nearby. Early one spring he brought back a few cuttings which we rooted easily by just sticking them in the ground. They thrived in their new location, and it wasn't long before I had two sturdy wisteria bushes that seemed ready to overtake the world. It was only by pruning and training that we have been able to keep the wisteria confined to it's planned location. The Wisteria Was a Surprise This Year! 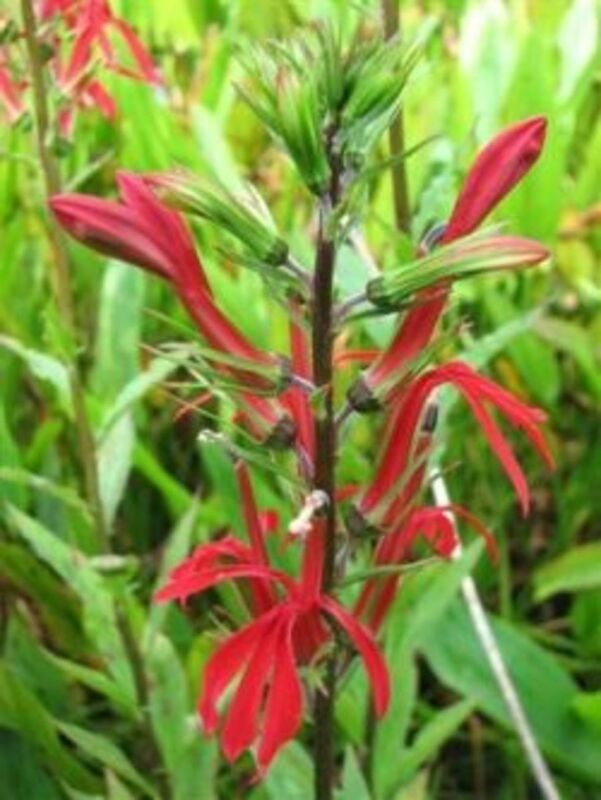 Last summer, the plant was out of control, sending runners in every direction, creeping into the lawn and attempting to overtake the nearby Rose of Sharon. It never bloomed, and in a ruthless move, I pruned off all the runners and cut back the top to about 30 inches high. Lo and behold, in March it sent out buds in every direction and bloomed in a cascade of lavender clusters. There is the beginning of an herb garden near my back door where I've planted some perennial herbs. 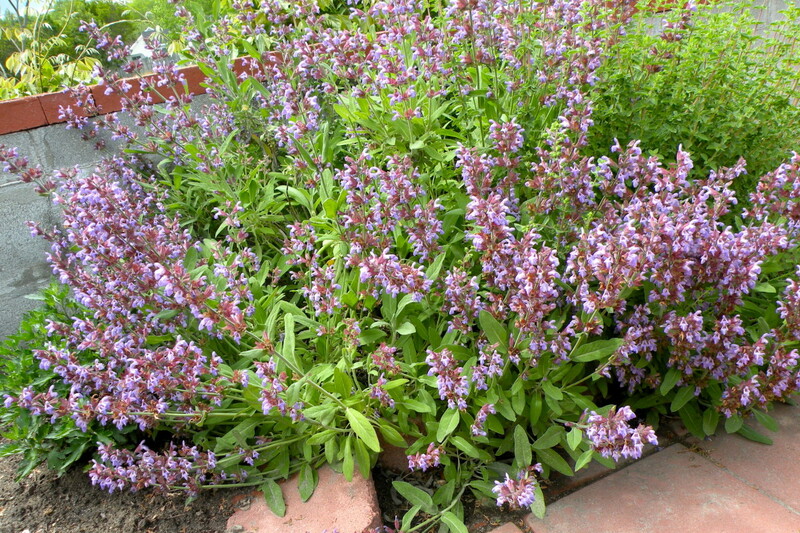 The sage and marjoram have taken well and grown into each other to make a beautiful bouquet of herbs. From my kitchen window, I can see the pansy beds on the inside of the patio wall as well as many of the other flowers on the other side of the low wall. One of my special pleasures is to see the azaleas and roses in bloom. The white and bright pink azaleas and many other azalea bushes around our house were grown from small seedlings that we found among my son's overgrown azalea collection. These azaleas have bloomed for weeks this year as the spring fluctuates from cool to warm to cool. 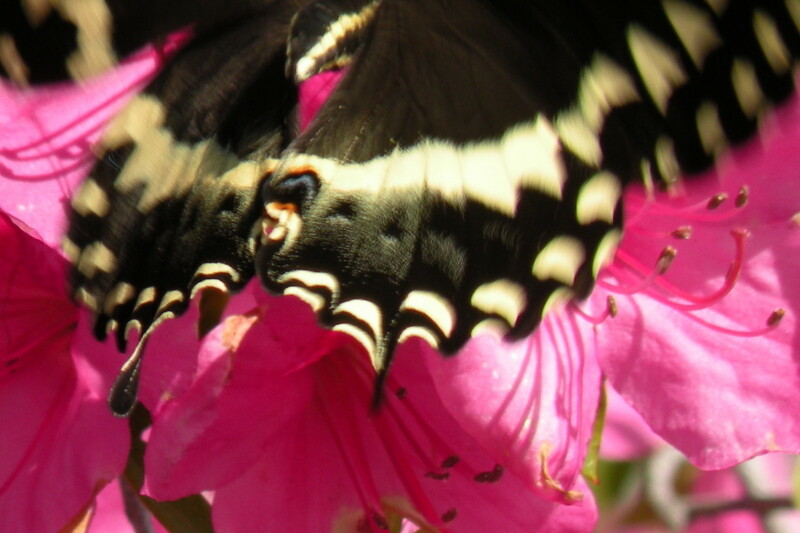 On warm days, the swallowtail butterflies have swarmed around the bush, their black and yellow wings a beautiful contrast to the brilliant pink blossoms in the sun. Occasionally, a ruby throated hummingbird will lite in one of the branches to rest before sipping from the nearby feeder. This little lizard comes out to sun himself in the flower beds or on the patio wall. 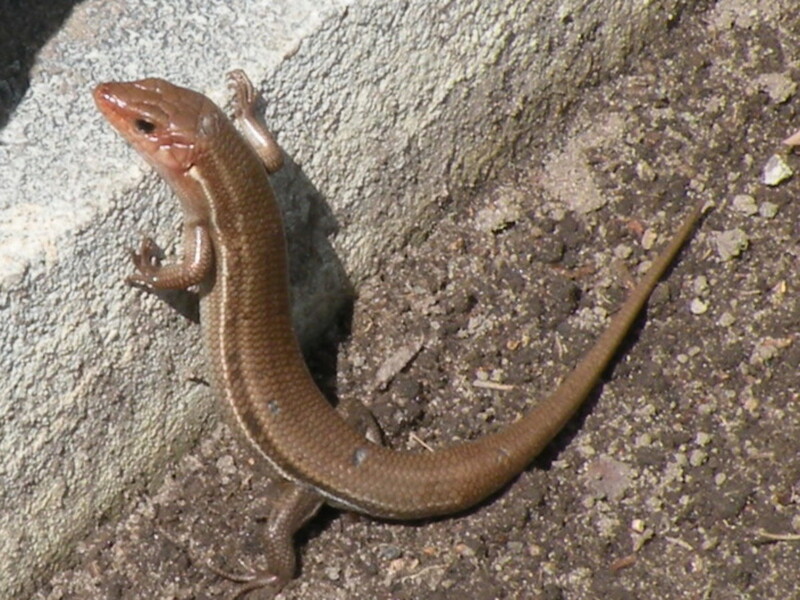 Recently, I've seen more than one, so there might be a family of lizards making their home in my garden. So far, Gemini (my cat) hasn't noticed them, or they would be prey for sure! There was one beautifully established camellia bush growing near our house when we bought it, and most years we miss its bloom as we travel in the winter. This year, we were fortunate enough to be home in February when the bush burst into hundreds of dark pink blooms. Coming from the northeast where winter blooming flowers are nonexistent, camellias blooming in the winter months fascinate me. A small yellow rose bush lives in a sunny, protected spot with a southern exposure and decided to bloom in early April. I love the yellow color against the red brick background. Though I don't know the variety of these roses, they have a strong rose scent that is perfectly delightful. Calla lily bulbs were another gift from a friend who was dividing her plants, and I was fortunate to be given a few large bulbs that have multiplied in my garden. Calla lilies are so perfectly formed and such a pure white, it's easy to see why they are a favorite in bridal bouquets. These started blooming in mid-April but they've been known to bloom on and off until fall. These double daffodils were an unexpected pleasure as they seemed to pop up overnight and bloom. 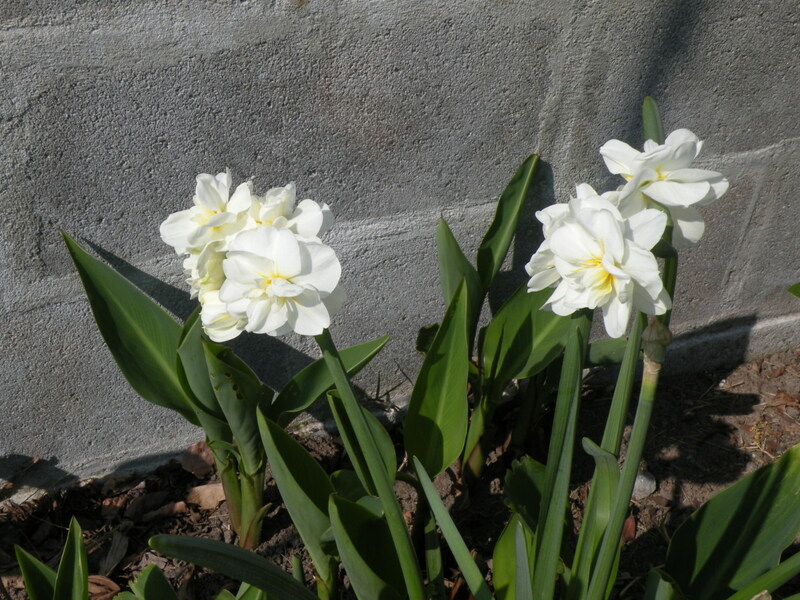 The double blossoms are quite a change from the more common yellow single daffodils that bloom in my front flower beds. The vibrant colors of spring are even fresher after a rain. Roses after a rain sparkle as they catch the light in the droplets of water. These are my favorite flower photographs because they seem to capture the dewy newness of everything that spring represents. As you can see, I do love flowers and enjoy every blossom as it comes into being. I love to have cut flowers from my garden in the house, and even use them to decorate cakes! One of the joys of photography is that it preserves some of the most interesting and beautiful flowers forever. I do hope you’ve enjoyed this tour of spring flowers from my North Carolina garden as much as I've enjoyed putting it together. All photographs are the exclusive property of Stephanie Henkel. Please do not copy or reproduce without permission. Are you a gardener, photographer or just an admirerer? I love to garden and grow my own flowers. I love flowers, but prefer to enjoy other peoples' gardens. I love to photograph flowers where ever I can find them. Macro insect photography can be fun, as subjects are available in plenty. It just needs patience to get great results. These images here have not been greatly altered or photoshopped. Choose the best pictures for your hub to attract attention and add color and interest to your layout. Here are tips on how to make the best choices when choosing clip art, free photographs or your own original photos to illustrate your hub. Perennials come up every year - make life easy on yourself! Beautiful photos, Stephanie! Real lovely! I would love to grow some of these flowers for my container patio garden. Thanks for sharing! poetryman6969 - Glad you enjoyed my flower photographs...I do enjoy my flower gardens! You can never have too many photos of beautiful flowers in my book. raquelle148 - I love the calla lilies, too. They are so elegant. 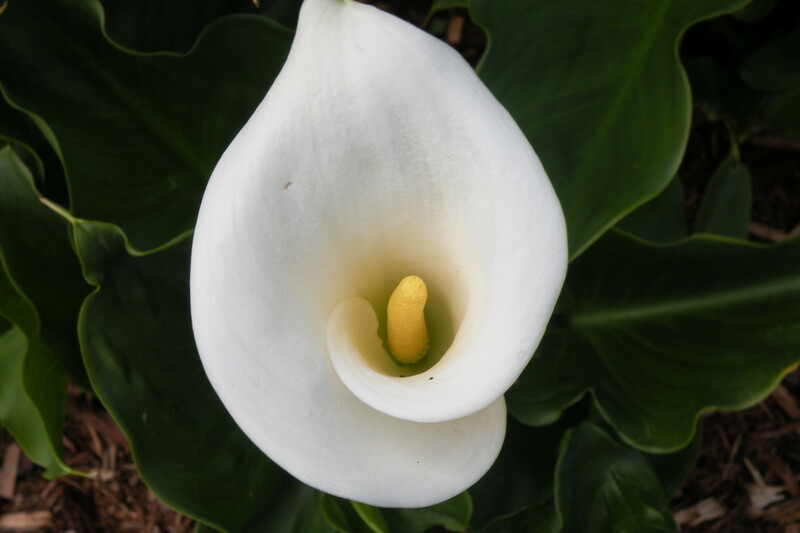 I like all your flowers in your garden especially calla lily. I really like its shape and the color. Easy Exercise - Even though flowers flourish in the climate of North Carolina, it still takes time a patience to grow a pretty garden. I love the perennials that come back each year, but do fill in with quick growing annuals for extra color. Glad you enjoyed my little garden tour! I love all flowers but the Carolina flowers are Texas sized! Amazing. I have a new garden and alas very few flowers as yet but the blooms are a starting! My husband was confused why we didn't have a profusion of color the first year. Flowers are funny that way - they need time and care. Similar to great hubs! Thank you for a delightful journey! NMLady - Now is the best time to come...spring has sprung! ...beautiful! Wonderful pictures. Makes me want to visit my cousin in the Carolinas even more!! Thanks so much for your kind comments, AudraLeigh! I'm so glad you liked my story and pictures...you make me smile! 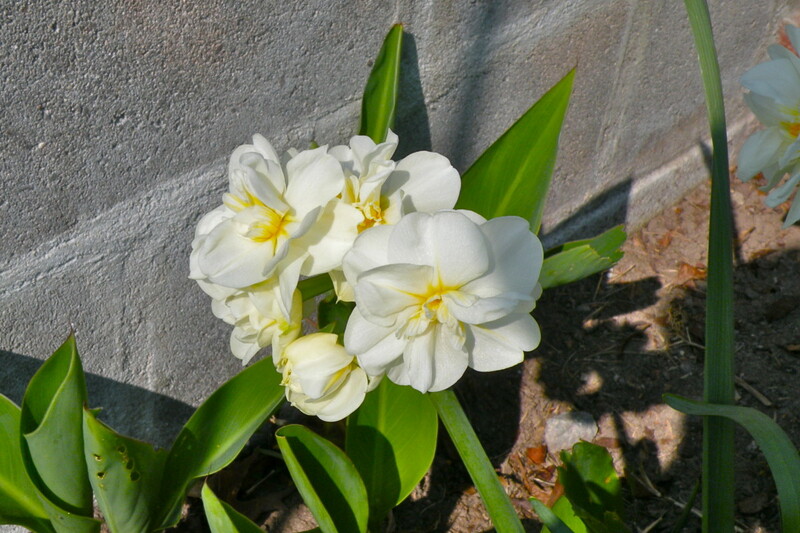 Your "Yellow Iris" is awesome...great photo!!! The fact that these beauties were "free"...amazing!!! 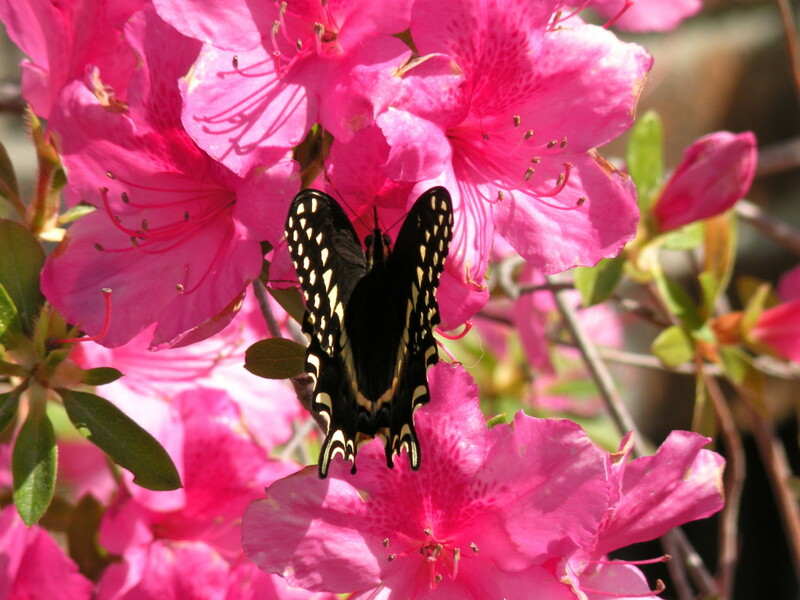 I lovvvve your "Swallowtail Butterfly on Azalea"!!! idigwebsites - I'm so glad you enjoyed my spring flower pictures! I do love flowers and can't resist photographing everything that blooms in my garden. If you have a Nikon digital camera, I'm sure you can get some beautiful photographs with it. Do have fun experimenting with your cameras. Thanks so much for your comments and votes! Unknown spy - I'm so glad you enjoyed my article and photographs of spring flowers from my North Carolina Garden! Thanks for visiting! Oh my!! such a beautiful hub, those flowers are super pretty! Thoughtfulgirl2 - Thanks so much for identifying my yellow rose! I love roses, but don't really know enough about the different varieties. I do appreciate the read and your comments. Thanks for stopping by! Hi Joanne, Thanks for visiting my hub and for your lovely comments! I do enjoy the many different flowers that I can grow here in North Carolina, and spring seems like the best time to enjoy them before the heat takes the fun out of working outdoors. Some of these pictures may serve as inspiration for paintings in the near future! Hi Stephanie, What wonderful photo's of such beautiful flowers. 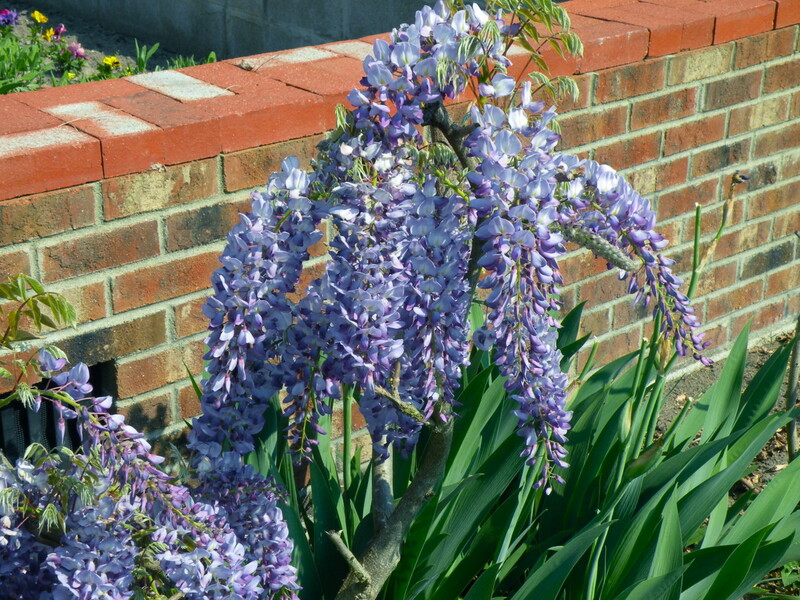 I love wisteria and had no idea it is pretty invasive--just the beauty though, and the smell is worth keeping it trimmed and in check. Love your calla lilies and the roses are gorgeous. 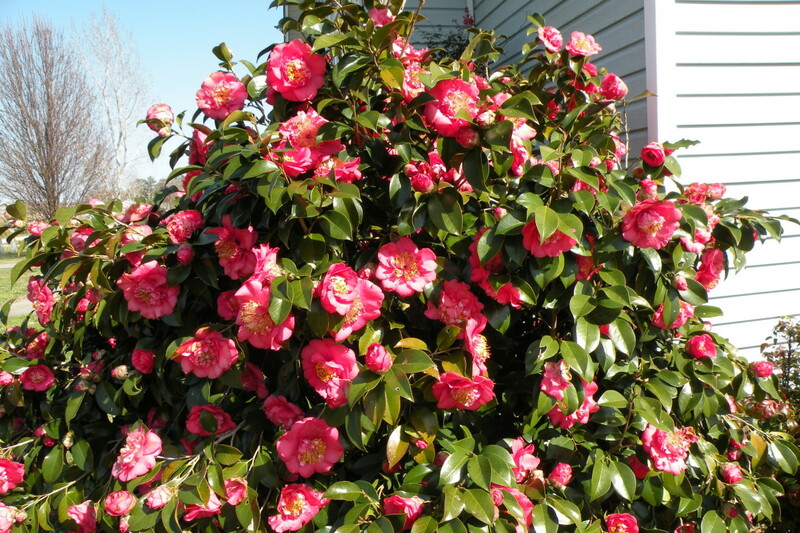 We have camellias, too, a couple different varieties and I love to see the beautiful blooms during a time when it is usually still cold and devoid of color. I enjoyed your photo's and narrative and thank you for sharing them with us. Cyndi10 - It seems that the spring flowers were especially beautiful this year and lasted longer than usual because of the good weather. Butterflies are also favorites of mine - glad you enjoyed mine! Thanks for visiting and commenting! Hello Stephanie, wonderful collection. I especially loved the azalea with the butterfly. Voted beautiful. Thank you Stephanie. I appreciate the weather information. I guess if we can deal with the blizzards, we can take on the tropical storms as well! Grandmapearl - We haven't been here during a hurricane yet. We were away for the summer when Irene hit, but we have had some fierce tropical storms with high winds and rain. I think the main thing is to watch the weather closely when a storm is predicted and be prepared --much like we dealt with blizzards in New York! Hi Stephanie, I'm glad to meet a transplanted New Yorker! One thing I wouldn't miss is the snow and the ice. It would indeed be great to continue to see flowers almost year round. My one big worry is the bad storms. Have you experienced anything worse than what we have here in New York in the summertime? Grandmapearl - Iris do surprisingly well here, though I did have many more varieties in New York state when we lived there. 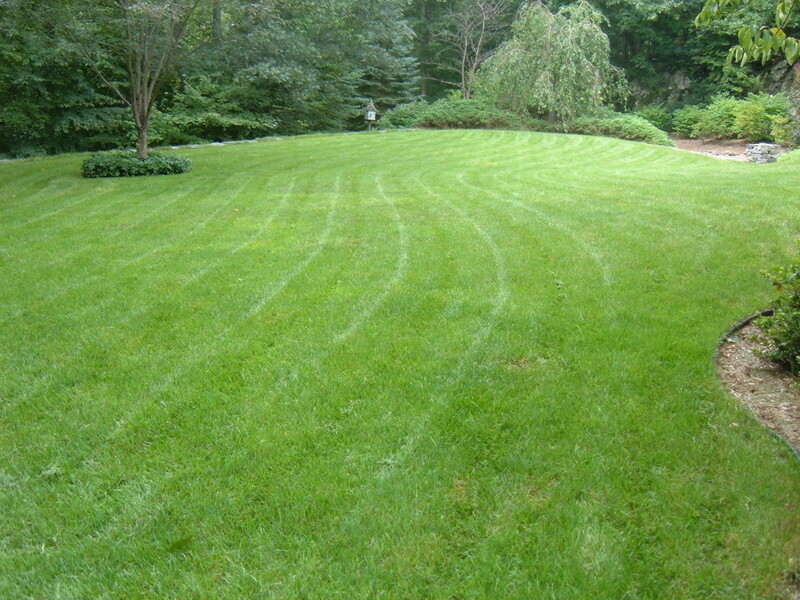 One advantage to gardening in North Carolina is that the season is so long. I think you'd love seeing blooms in late winter and late fall as well as spring and summer. Thanks for the comments, votes and share! Gorgeous flowers. I love your iris especially. My husband wants to move from upstate New York to North Carolina in the future. Now that I've seen what you can grow there, I think maybe I'll stop resisting! Lovely Hub, thanks so much for sharing your garden with me. Voted Up and everything. Also shared. 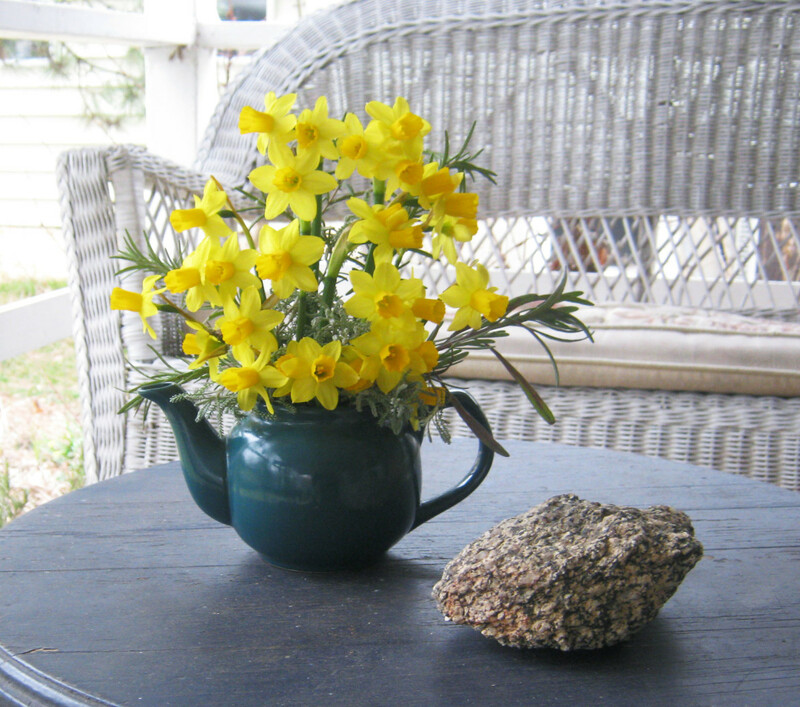 europewalker - I'm so glad you enjoyed the spring flower photographs from my garden! The butterfly is one of my favorites, too. It's always a delight to be able to capture butterflies as they can flit away so quickly. Gorgeous photos! Love the pansies and that butterfly is stunning. Thank you Linda! It's always great to see your sunny smile and lovely comments gracing my hubs! You are truly a Jill of all Trades! I always enjoy your hubs because you never know what surprise will be next. Beautiful flowers, photos and hub! cclitgirl - I love to see flowers blooming. I'm with you, it makes taking a walk in the backyard so enjoyable! Thanks for your complements and comments! You take some beautiful picture tht should be published in magzines! I especially liked "The bug in this blossom". Lovely! Voted up! I love this! Beautiful NC flowers!! 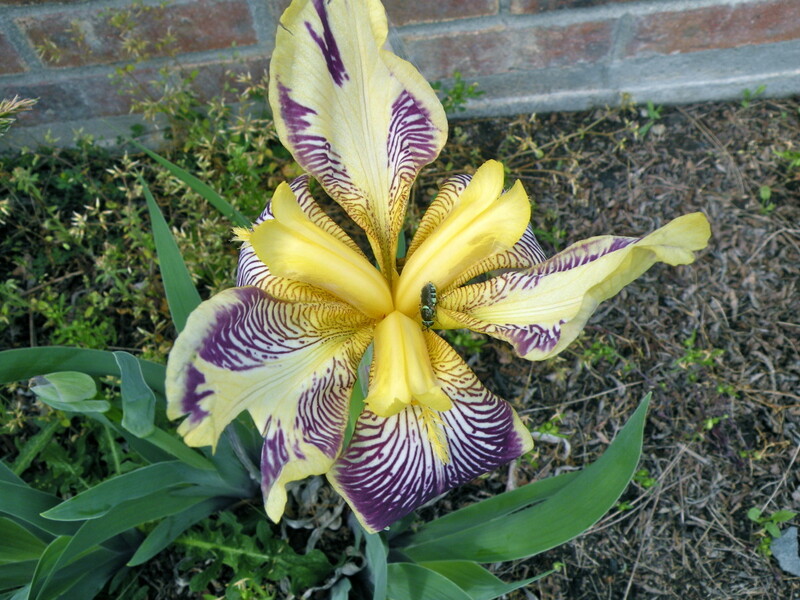 I have LOTS of yellow irises, native daylilies, azaleas, herbs (and blooming sage) in my garden. It's like taking a walk in my backyard. Beautiful pictures!! Dolores Monet - The rose after the rain is one of my very favorite photos - I'm glad you like it, too! Your pink iris sound wonderful! I love all the different colored iris and have noticed that they even have slightly different scents. They are a striking and photogenic flower. Thanks for visiting my virtual flower garden! 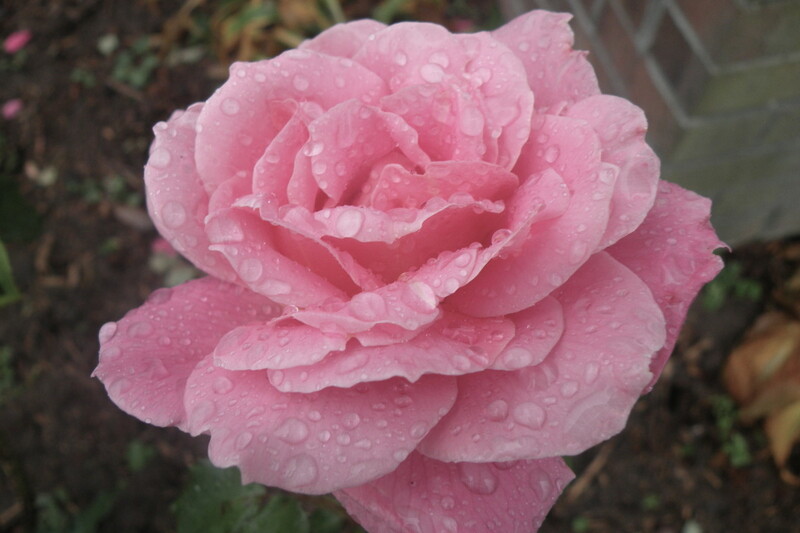 Hi, Stephanie - what beautiful photos, especially the rose after the rain! My iris has bloomed early this year. I have some huge, pink iris that usually blooms on or around Mother's Day, but they've been about 2 weeks early. John Sarkis - Well, thank you for the complement, John! I'm so glad you enjoyed the flowers in this hub. I love yellow flowers, too, and the yellow roses I pictured are some of my favorites because they have a beautiful scent. Thanks for coming by to view my hub and for your comment! Lzipio90 - The iris is a splendid flower and comes in a rainbow of beautiful colors. I do enjoy having them in my garden! I'm so glad you enjoyed my spring flower pictures from my garden. Thanks for your comments! What a lovely flowers you have in there in your garden! I do wish they all grow in tropical countries too especially the iris. I loved how this flower actually look like, big and splendid! very nice and beautiful hub! 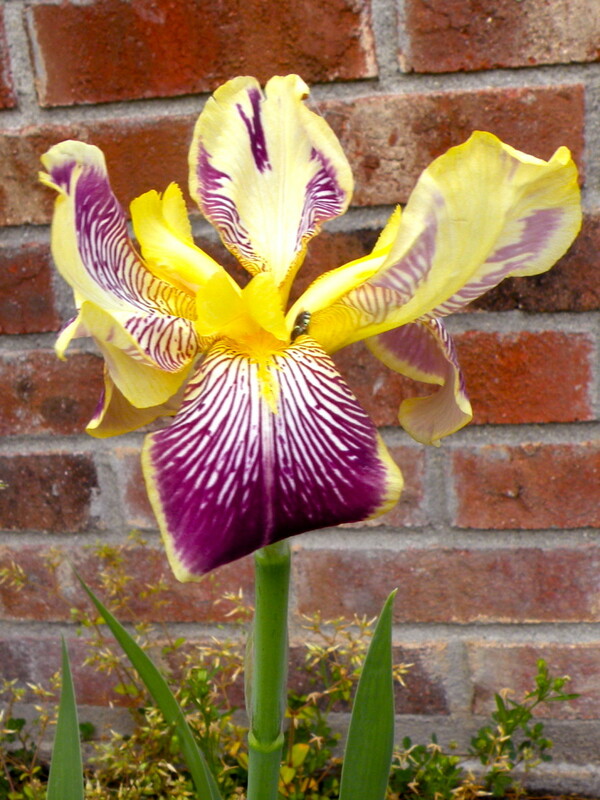 Lucky Cats - Iris are such a beautiful, showy, old fashioned flower that are generally easy to grow. It's no wonder that so many people love them! 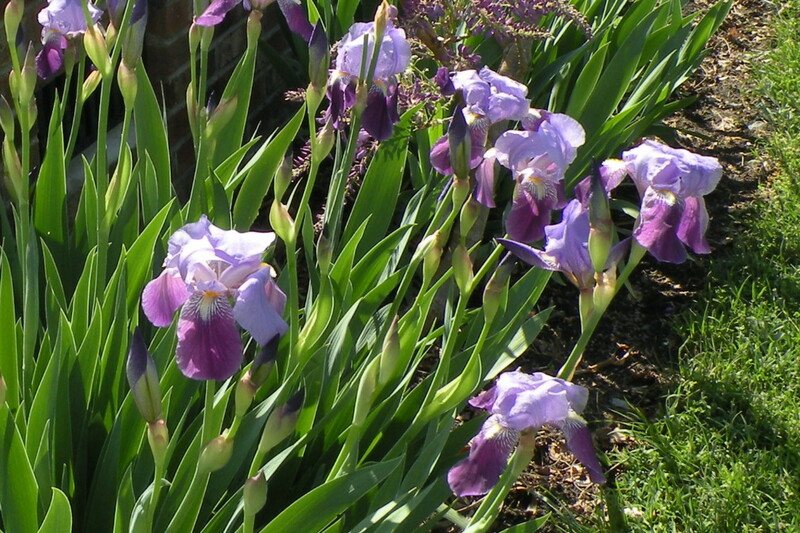 Your mother's and grandmother's iris beds must have been exquisite with so many unique varieties! Thanks for stopping in to comment! This is the best time of year for my flower gardens as all of my favorite things are in bloom. 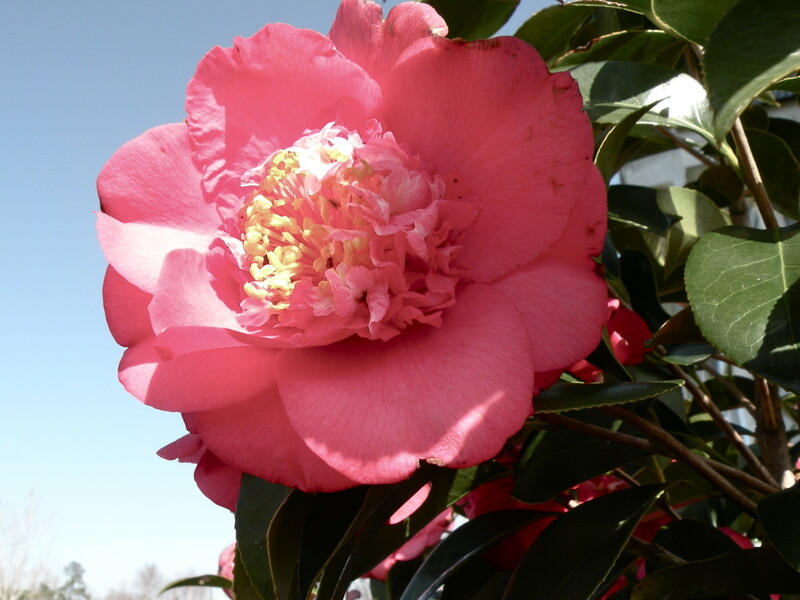 I was so pleased to see the camellia bush in bloom this year. There were hundreds of flowers on it that provided many nice cut flower arrangement during a time when not much else was in bloom. As a transplanted New Yorker, I'm still learning about gardening in North Carolina. It's fun to be able to grow things that we couldn't grow farther north. Thanks so much for your comments, and thanks for the share! Gorgeous! Iris are my favorite flower..so beautiful. My mother and grandmother always had lovely iris beds with unique and rare varieties. Very hearty bulbs; they seem to be able to withstand so much. I loved getting to take a look at some of the beautiful things that bloom in your garden. That camellia bush is huge! We have all of the same flowers here in Houston with the exception of the iris which are mostly a different kind called Louisianna Iris. I love the kind that you have because mine came from my grandmother when my husband and I lived up in Wisconsin for 4 years. She also gave me tulips which spread like crazy. We gave many of the iris and tulips to our neighbors before we moved back to Houston. Also enjoyed your photography. Up votes and SHARED. 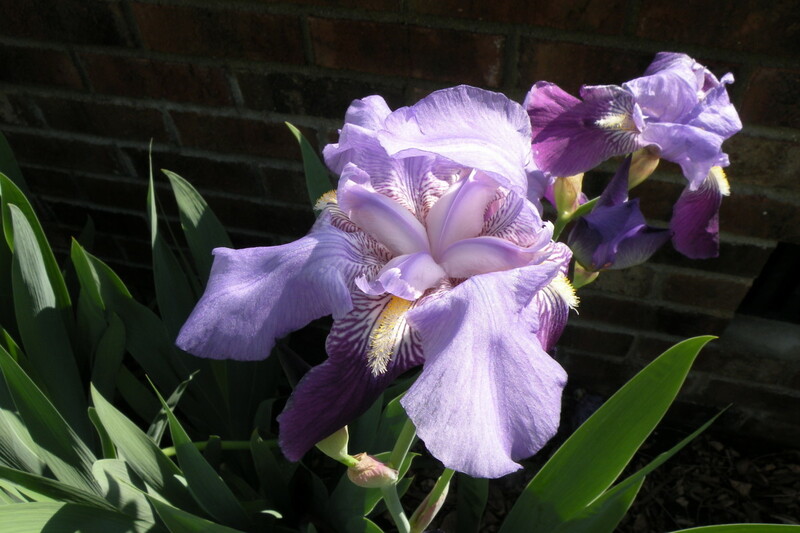 sgbrown - Iris are so photogenic that it's hard to resist taking pictures of each bloom! Yes, I do have quite a few hostas. There was one huge plant when we moved here, and I divided it into many plants that outline my front porch. I hope yours will recover! Thanks so much for your comments and votes! Sholland10 - I just love having flowers from friends and relatives that continue to grow and bloom and multiply! How lucky you are to have iris that are descendents from your great-great grandmother! Thanks so much for your comment and share! One of the things I love about living here is that it's so easy to grow a profusion of flowers! I'm so glad you enjoyed my spring flower pictures! Thanks for joining me for a virtual tour of my flower garden and for your kind comments! How beautiful! My mother had Iris that were off-springs from her great-great grandmother. Now I have them. They are such treasures. The Wisteria is one of my favorites, too. Beautiful pictures! Spring is here. :-) Votes and shares! These are just stunning. I think we are fortunate to live in one of the most beautiful states in the country. Every part of NC (almost) has a unique landscape and beauty. Your photos are stunning! RealHousewife - White Hyrangeas and roses - both are so beautiful! I do love this time of year! Thanks so much for coming on a virtual tour of my spring flower garden! Enjoy your spring! Beautiful flowers - the photos are awesome! I bet your garden is gorgeous and so fragrant...I have roses that are blooming and a white Hydrangea that is looking good (hope I spelled that right:) everything in the midwest is green or blooming! Thank you, Molometer! 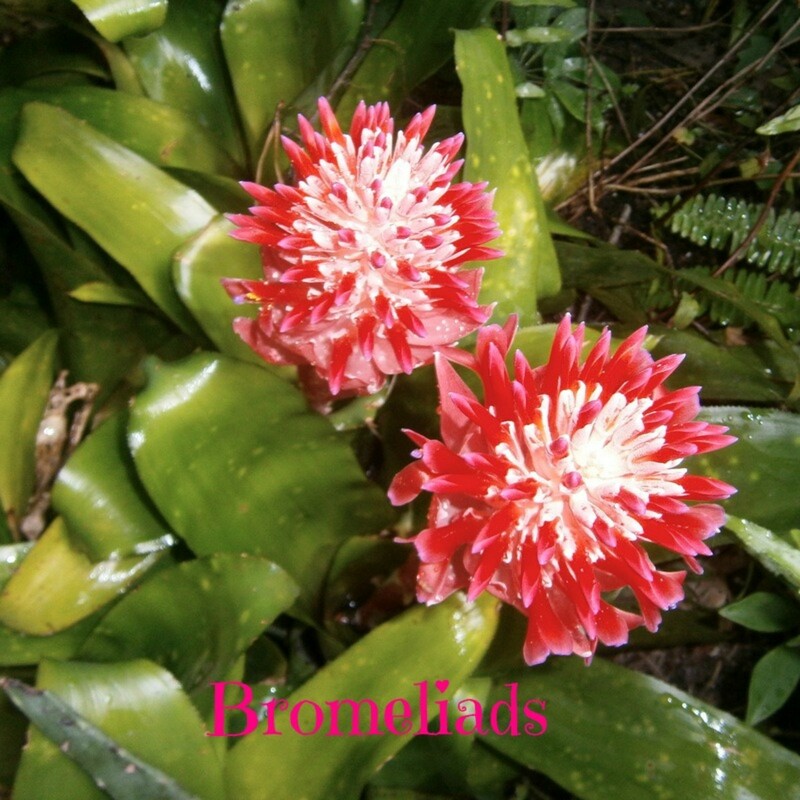 I get a lot of pleasure from my flower gardens, and it's nice to know that others also enjoy my photographs! Thanks for stopping by to comment and vote! Great close up photo's of your beautiful flowers Stephanie. The detail is stunning. Natashalh - Thank you for your kind comments! My garden is very informal, with a mixture of colors and flowers that I love. I feel pleased that you call it picturesque and romantic! :) Thanks for your visit and your comments! Dear SanneL - I do believe that flowers have a positive effect on our moods. It pleases me so much that my flower photographs brightened up your day a little, and that you enjoyed a virtual walk through my garden. I wish that I could send you some of the real flowers, but in their place, I wish you well and hope you'll enjoy other of the virtual garden tours here on hubpages. What beautiful flowers! It isn't haphazard - it is a picturesque, romantic garden. Informal and arranged to look pretty and natural! (So...a fancy horticultural term for what you said...) voted beautiful! What a delightful hub Stephanie! Your garden is just like a colorful painting. So much beauty. Your love for flowers shows, and I'm so happy you shared your garden with the rest of us. Staying at the moment in a hospital and probably for quite some time, I especially enjoyed this virtual walk in your garden, bringing so many colorful and beautiful flowers in to my hospital room. Voted up, beautiful, awesome and sharing. Carmen H - I love to see the spring flowers blooming, and the yellow roses are special favorites because they have such a wonderful scent. The blossoms are fleeting, so it's especially rewarding to capture them on camera. Thanks so much for visiting my North Carolina Garden! I'm so glad you enjoyed it. Such breathtaking blooms! You indeed have a wonderful garden to delightfully ramble in. 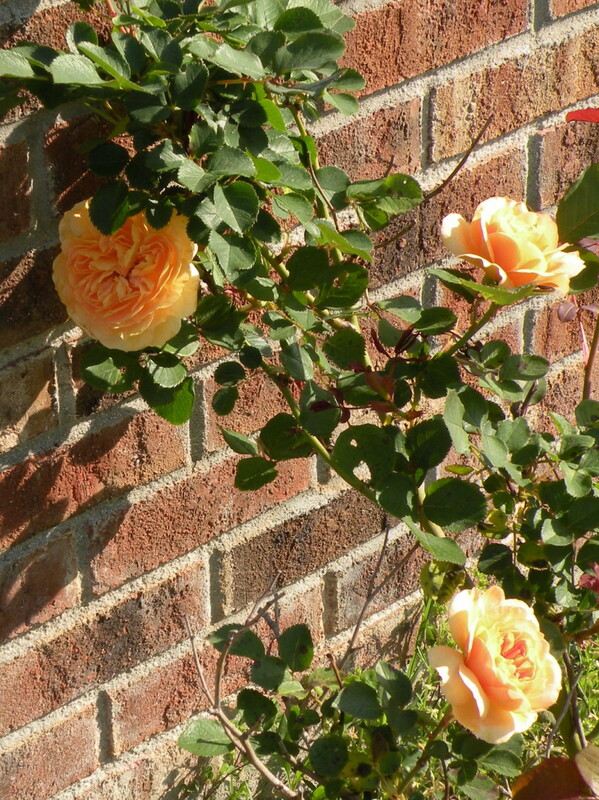 I too love the picture of the yellow roses with the red brick background. Your effort with your garden is truly rewarded with these amazing beauties. 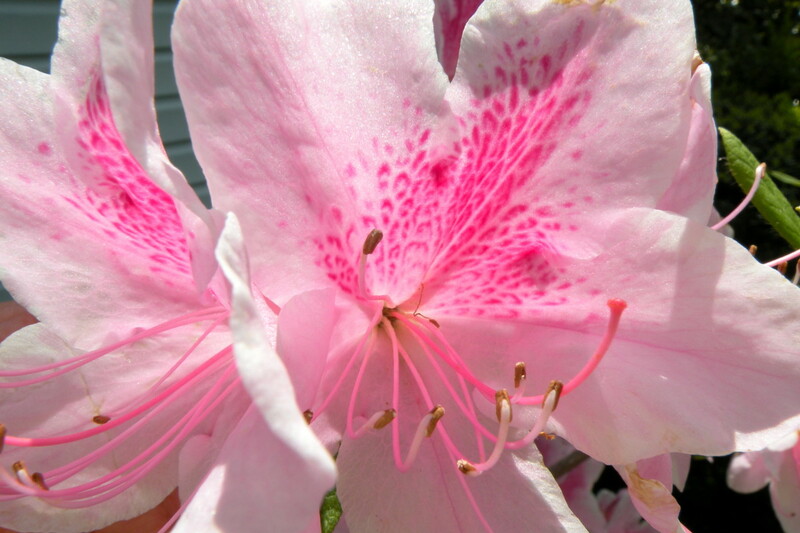 Lilleyth - I don't know the names of the different varieties of azaleas, either, but they are spectacular. Thanks for stopping by to visit my spring flower pictures! Lovely photos Stephanie, enjoyed this hub very much. 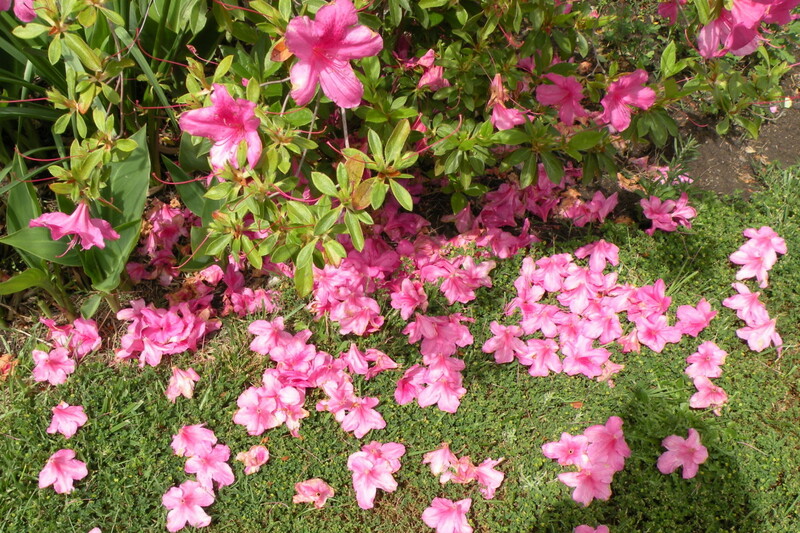 I used to have that pink azalea, can't recall the name for the life of me. I used to live in Raleigh in the 80's. Hi Stephanie, thank you for this wonderful treat - your garden is fabulous! I love the double daffs and the wisteria especially, I didn't realise wisteria would root so easily! ChristineMargaret - I have a Nikon Coolpix P80 with an 18X zoom. I'd love to have an SLR...that will be my next upgrade. I do some touch up and cropping on the computer before posting, and sometimes that makes all the difference. Your camera must be a very good camera, too. I can never get that kind of definition and clarity. Do mind if I ask what it is? ChristineMargaret - I know that spring comes a lot later to the northern states, but it won't be long now, will it? Glad you enjoyed my flower pictures. I know how you feel - beautiful spring flowers always inspire me to get out my art supplies! Happyboomernurse - I do love the economy of starting my own plants and getting bulbs and seedlings from friends, but I also love having plants in my garden that remind me of their donor each time I see them. Thanks so much for your very kind comments on my flower pictures! Kashmir56 - I enjoyed watching the lizard who is living near my flower gardens, and I was so pleased that he stayed around long enough for me to snap a few pictures while I was photographing my spring flowers. Thanks so much for your comments and vote! Randomcreative -Thanks so much! I glad you enjoyed the spring flower pictures! thus this was so enjoyable for me. Very good flower pictures, and it makes me want to try to paint some. Thank you so much for sharing your lovely garden on HubPages where we can all admire the beauty that you captured in these stunning close-ups! 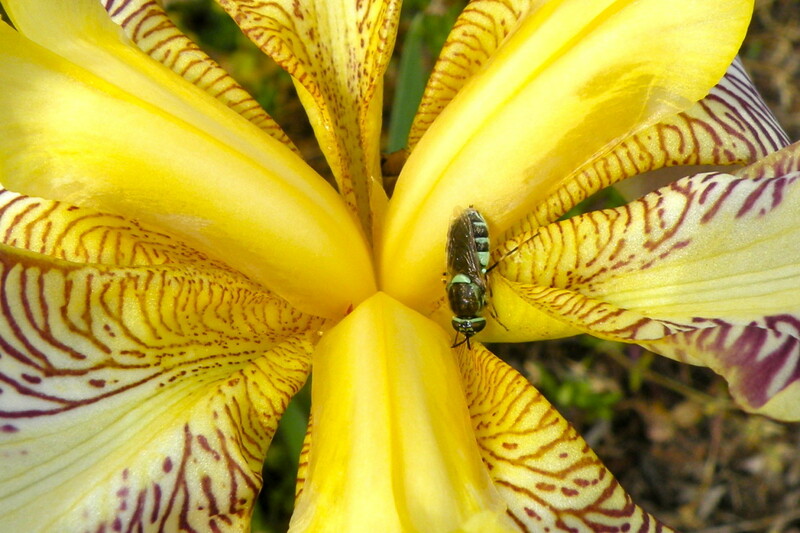 The yellow iris close-up with the bug in the center of it literally took my breath away! I think it's great that you've grown most plants from clippings, seeds and plants given to you by friends/relatives. In these tough economic times getting plants from others is a win-win situation and an excellent free way to share joy with others. Hi Stephanie all your flowers are so colorful and so beautiful, love all the photos ever the little garden lizard . Gorgeous flowers and photos, Stephanie! Prasetio30 - I'm so glad you enjoyed my spring flower pictures! Flowers do bring so much color and beauty to our lives - it's very rewarding to be able to capture some of that in photographs. Thank you for visiting and for your votes! Wow....this was beautiful hub and full with the color of beautiful flowers. I really enjoy all stunning pictures. Thanks for writing and you make my day so colorful only watch the pictures. Good job and voted up! 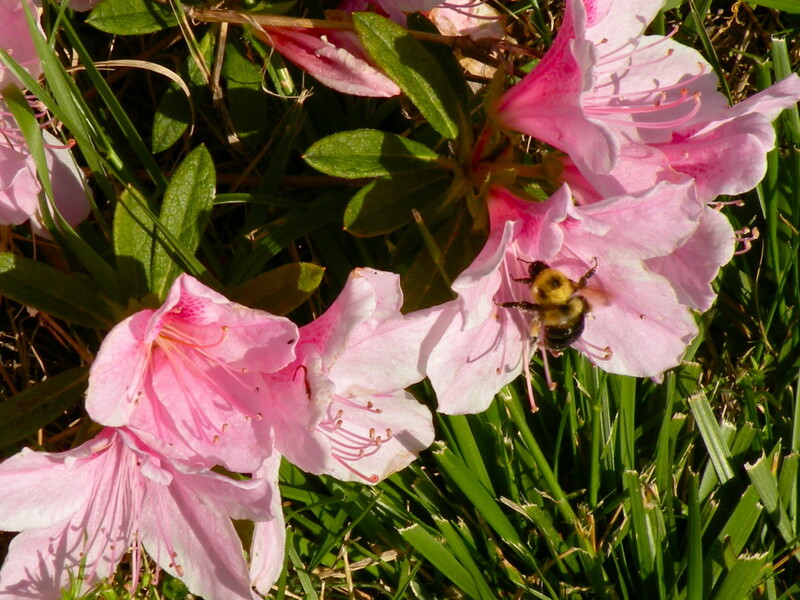 MonetteforJack - I'm so glad you enjoyed my hub on spring flowers in my North Carolina garden! Thanks so much for your comment! Rosemary50 - The roses with raindrops are my favorite photographs, too. I do love the freshness of the flowers and trees after a spring rain! Mary615 - I imagine that in South Florida you have a whole selection of tropical plants to choose from even if you can't grow some of the flowers we grow in NC. Growing orchids sounds like a wonderful hobby! I have a Nikon Coolpix P80...it's not a professional grade camera, but I can get some good pictures with it. A tripod helps eliminate camera shake, though I don't always like to bother with one. Once you have a clear picture, you can always crop it and blow it up on your computer to get a closer look. I did take a look at your orchid - it's lovely! Thanks for stopping by to view my hub and thanks for your very nice comments! Jackie Lynnley - This year in particular, the flowers seem to be lasting a long time. 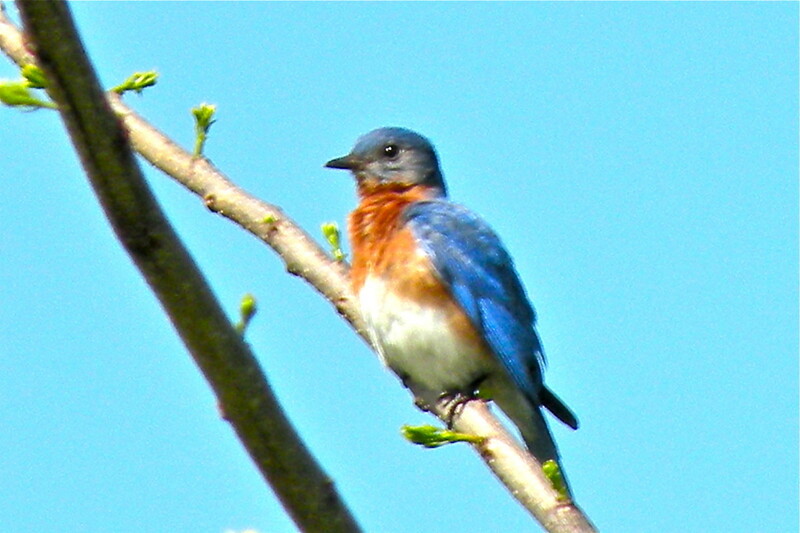 Coming from the northeast, I have enjoyed the long, beautiful spring of this area. Ohhh...I'd love to see your yellow calla lilies. They sound so pretty! Thanks for the read and for commenting! Golfgal - Spring is absolutely the best season in NC. This year it started early and the flowers have been fantastic. Walking around each morning to check out your plants and flowers is a wonderful way to start the day! Thanks so much for stopping by to view my spring flower pictures and to comment! Beautiful photos. 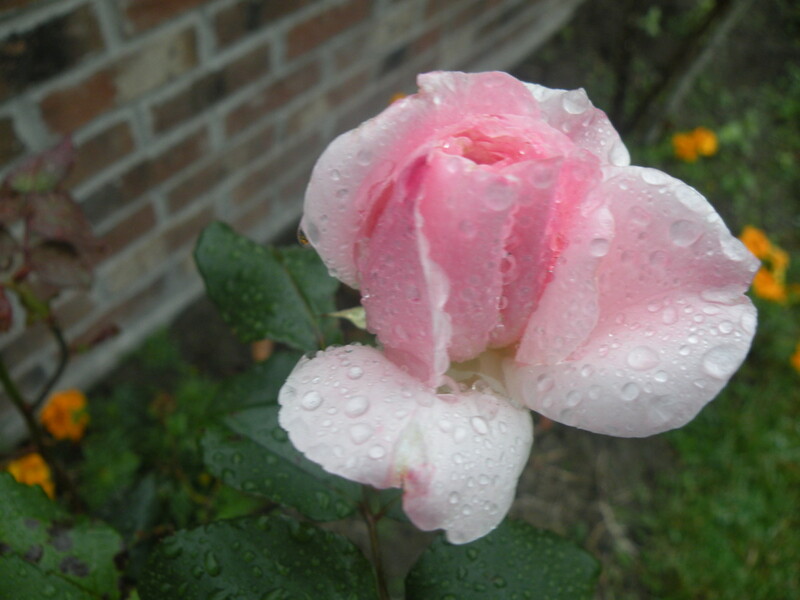 I especially loved the roses after the rain. These flowers take my breath away! As a fellow flower lover and gardener, I was astounded by the beauty of these. I live in S. Fl. and most of these flowers don't grow here except for the rose. I just did a Hub on my Cattleya orchid that is in full bloom, and my camera couldn't capture the orchid to my satisfaction. What kind of camera do you use? You get such clear shots. When you have some time, check out my orchid. When I first saw your avatar, I knew I'd like you! Goodnight. NC flowers! I am sure other places have beautiful ones too but NC's seem to be so plentiful and last so long. 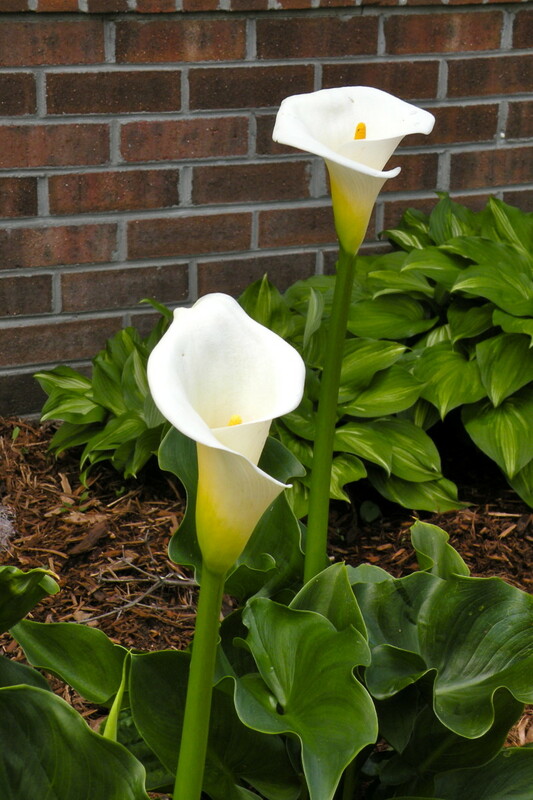 I have got to get my yellow Calla Lily flowers up soon to show off and Camillas are just at the top of my list! You have some real beauties. Awesome view Stephanie, thanks for sharing your blooms and wildlife. I loved it. Spring is my favorite season. I love to walkabout every morning looking to see what happened overnight. Awww...that's very sweet! Glad to see you survived your birthday weekend with no ill effects! I do love flowers, but I'm afraid I don't do as much of the real gardening work as I used to. Luckily, my husband always helps when I have a new idea or a new plant to plant. I don't know what a walking iris is, but it sounds interesting and it's lovely to have a growing plant that came from your Mom. One of the things about getting cuttings from people you love - you always have a beautiful reminder! Thank you so much for your very kind and enthusiastic comments! Ohhh! As soon as I saw the title of your new hub, I knew it was going to be another good one!! What a beautiful little heaven on earth you have with your flowers! The Iris'...oh my...astounding....and the calla lilies...what a perfectly stunning flower! That is the coolest thing that you did not purchase any of them! The cuttings and bulbs given to me are always my favorites...my Mom just gave me a baby from her apostle plant(walking iris) and I keep counting the leaves as it grows until it reaches 12 and then will flower - it's up to 5! Thanks for sharing your beautiful flowers with us. RTalloni - I didn't realize that wisteria could overtake the neighborhood when we planted it. Now I feel obligated to keep it under control and try to keep it pruned to a tree shape. 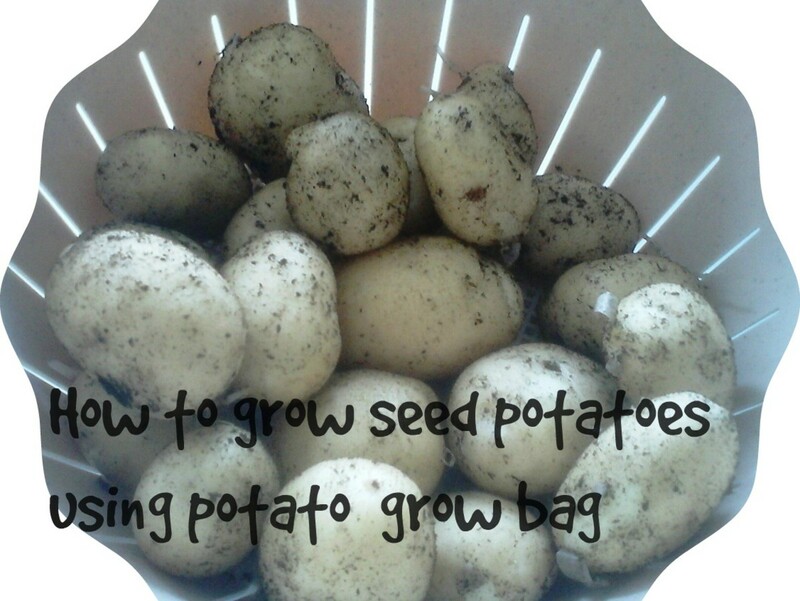 Because it will root so easily, we take the cuttings and burn them or take them to recycling. Thanks so much for stopping in...and good luck with your garden! Beautiful flower pictures, Stephanie, only put in the shade somewhat by your own lovely smile. Both the purple and the yellow iris I have photographed are actually quite common here, and are not especially large compared to some of the beautiful hybrids that are available -- but I think they still have very elegant characteristics. Thank you so much for your kind comments! Glad you enjoyed the photographs! Thank you, Organicpixie! I'm glad you enjoyed the flower photographs and the butterflies! Wow, absolutely stunning and I love the fact that you get all your plants free. The butterfly on the azalea - both pictures of it are extra fabulous and I've never seen an iris quite like that one you have. We get bearded irises in the UK which are a bit similar, but yours is quite extreme! And I can near enough smell your lovely raindropped roses. The pictures are so pretty. Love the butterflys. Thank you Moonlake! I don't know how you got here so fast, but I appreciate your comments and votes! Your flowers are beautiful and pictures are so nice. Love them. Voted Up.